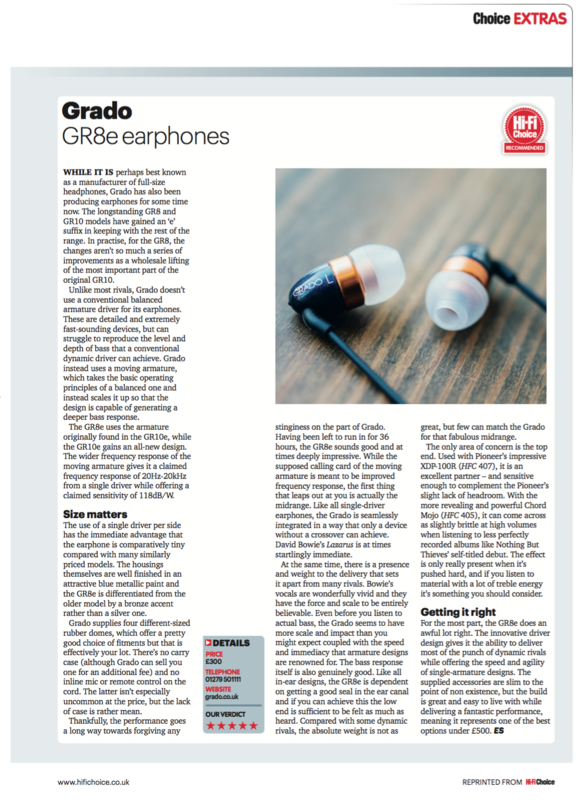 WHAT Hi-Fi gave our Grado GR8e in-ears a five star review! Not only that, but they were given the Hi-Fi Choice award as well. The review was printed so you can read the it below. Thank you, WHAT Hi-Fi!